As you’re about to enter the gym, you come across a sign that invites members to try new classes in HIIT, Boot Camp and TRX. You’ve been thinking about changing up your routine and HIIT has always been at the back of your mind. You excitedly change in the locker room and sign up for a “Beginner’s HIIT Class”. One hour later your body feels wasted. The next day you can hardly get out of bed. This pain or soreness is known as Delayed Onset Muscle Soreness (DOMS). Whether you are a beginner or an experienced trainer, pain and soreness come with exercise. Every time you subject your body to varying degrees of forces, it will try to adapt and accommodate the amount of resistance. As a result, muscle fibres are torn down, resulting in DOMS. This is why it is important to get enough rest after exercise. Your body needs time to heal. The best way to manage DOMS is to come up with a program that lays down your preparation before, during and after exercise. The first item you have to address is your training program. If you want to improve performance, you must periodically increase resistance or intensity. The keyword is “periodically”. While increased work load is absolutely important to build stronger muscles and better conditioning, you should not maintain a prolonged period of progressive resistance. As your work load gets heavier, it takes the body longer to recover. Eventually, it will just give out. The end result could be serious injury. You see these injuries happen to professional athletes who play tournaments year- round. If these injuries can happen to highly- trained professionals, it could most likely happen to you. You must vary your exercise work load. If you have been progressively increasing the amount of weight you have been lifting for the past three weeks, cut back the work load by 25% on the fourth week. If you’ve been running five kilometers on the road three times per week, change up your workout the following week. Instead of road work, do intervals on the treadmill. One of the long held beliefs in fitness is that stretching before exercise prevents pain and soreness. Not only is this not true but stretching before exercise could actually cause injury. When you stretch, you are elongating the muscle which decreases its rate of contraction. Muscles need to contract in order to accommodate resistance. Stretching can manage pain and soreness if done after exercise. Instead of stretching, prime your body for the work load ahead by performing dynamic movements. For example, before running or a game of basketball, you can do light foot work drills, jump rope, wide arm circles and knee rotational movements. Once you’re warmed up, do super slow bodyweight squats. Assume the squat position and complete the descent to the bottom position in 8 to 10 seconds. Hold the bottom position for another 20 seconds then stand up. That is one rep. Repeat until you complete two minutes. Pain and soreness can also be caused by dehydration and lack of electrolytes. Make sure to remain hydrated during the water. Take sips of water in between sets. A good rule to follow is to take some form of electrolyte an hour into your workout. You can use sports drinks but a better alternative could be natural coconut water. Coconut water has 294 mg of potassium and only 5 mg of natural sugar. Commercially available sports drinks have less than half the amount of potassium and more than double the amount of processed sugar! Light Cardio Work – We always hear the need to warm down after training but most of us are probably not sure why. The primary purpose of warming down is to slowly get your heart rate back to normal. This is especially true when performing high-intensity conditioning activities such as sprinting or interval training. But a lesser known benefit of warming down is that it helps flush out toxins and lactic acid. A 10 minute light walk on the treadmill at a pace of 5 kilometers per hour is enough to warm the body down and begin the recovery process. As mentioned earlier, stretching is best performed after exercise. Stretching elongates the muscle which helps fibres to relax. One of the most effective ways to stretch is called Fascia Stretch Training. The fascia is a tough web-like covering that protects muscle fibres. Theoretically, if you can stretch the fascia you can improve mobility and flexibility. To do a fascia stretch, flex the muscle as hard as you can for 30 seconds. Then follow with a 30 second static stretch for another 30 seconds. By using Fascia Stretch Training, you are stretching the muscle from inside and outside its fibres. This is a good way to flush out lactic acid from the body and improve blood flow. While you could book a session with a Physical Therapist, a cheaper alternative would be the use of a hand held roller, a foam roller or a simple tennis ball. Simply run the roller or the tennis ball on top of the sore muscle several times. You need to put in more effort to make sure you get the deeper fibres of the muscle. Post Workout Nutrition – Studies have shown that proper post workout nutrition can significantly alleviate the onset of DOMS. It is important to get in your carbohydrates and protein within 30 minutes after training. The best type of carbohydrate to ingest is a simple carbohydrate like an over-ripe banana, watermelon juice or water mixed with glucose powder. 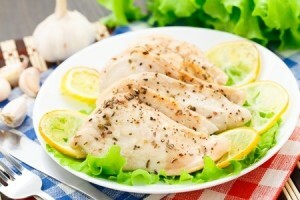 Take the carbohydrate with a fast acting protein such as whey or cooked egg whites. The simple carbohydrate will trigger your pancreas to secrete insulin which creates a spike in blood sugar. The spike drives the protein straight into depleted muscle tissue to enhance recovery. The ideal ratio for post workout nutrition is 2 grams of carbohydrate to 1 gram of protein. Finally, nothing speeds up recovery more than getting a good night’s sleep. Make it a point to get at least seven hours of good quality sleep every night. You will be surprised how less sore you feel every morning. Some people automatically reach out for the pain reliever after exercise. While this is certainly an option that ultimately becomes a matter of choice, it would be more advisable to use natural remedies to manage DOMS. Popular pain relievers like Ibuprofen can have health consequences if used long term. Finally, be honest with yourself and park your ego at the door. If the type of pain or soreness is unusual and causes great discomfort, put off exercising and see your doctor right away.